Nintendo's controller for the just-announced new Wii U console features a 6.2-inch touchscreen, as has been rumoured for some time. Nintendo president Satoru Iwata explained the thinking behind the design of the new Wii U controller at E3 2011 this week. "Up until now, home console games had to occupy the TV screen in order to be played," said Iwata. "But, the new controller for Wii U with 6.2-inch screen means you won't need to give up your gameplay when someone else comes in the room and wants to watch a TV program." Nintendo has finally revealed its hand with the Wii U controller. Opinion on the ground seems to be immediately divided ("It's too big!" "It's bonkers!" etc) which could well be the sign of a successful, disruptive hardware launch. Nintendo wii 2: can this latest console disrupt the market like its predecessor? It's certainly different, but can Nintendo disrupt the market – just as they did with the original Wii controller - yet again? "This is the new controller for Wii U," said Nintendo of America boss Reggie Fils-Aime, revealing the touchscreen pad controller. "It's different from anything you've played before." In addition to a 6.2-inch touchscreen display, the Wii U controller also features some form of motion control, dual analogue sticks, rumble feedback, a D-pad, a front-facing camera, triggers and shoulder buttons, start/select/home buttons and a microphone. The key concept is clear – Nintendo hopes that you will be able to transfer the game you are playing on a TV screen in your home to the local screen, should you wish to play alone in your bedroom or study. Demonstrations show that you can move your game from the TV to the screen in your hand almost immediately. 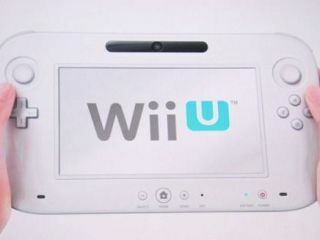 In terms of non-gaming applications, it also looks like you will be able to make video-calls on the Wii U control pad, using its front-facing camera. Plus, you will be able to share your content such as your holiday pictures and home videos from your local controller to the main television with ease. Nintendo, as we have come to expect, doesn't spend too much time explaining or demonstrating the non-gaming apps and potential of its new Wii U though, preferring instead to focus on the games. Nintendo president Satoru Iwata explains that "the new controller for Wii U with 6.2-inch screen means you won't need to give up your gameplay when someone else comes in the room and wants to watch a TV program." He also stresses that Wii U is fully backwards compatible, which means that you can play all of your current Wii games on the system and use your Wii Fit or any other accessories you currently favour with it. Most interestingly, Iwata stressed that: "This device is designed to appeal to all people, particularly the most experienced players. Wii U was created so that the widest variety of games can be supported." However he does stress that Wii U is NOT designed to be a portable gaming machine. "Even though it shares some characteristics. The images displayed on the new controller are generated only by Wii U." "You can play in a number of ways. Connect with an HDTV in a traditional way and you can enjoy the most up-to-date high-quality images even without using the screen in your hands. Or you can play the controller on the table by itself. Or, games can be structured to use two screens at the same time. "We decided on this new structure for Wiiu because we wanted to create a strong bond between games, your TV, and the internet. And also, similarly, between you, your friends, and your family."